Exclusively at Grandons - Receive a loyalty card and earn a stamp with every service. 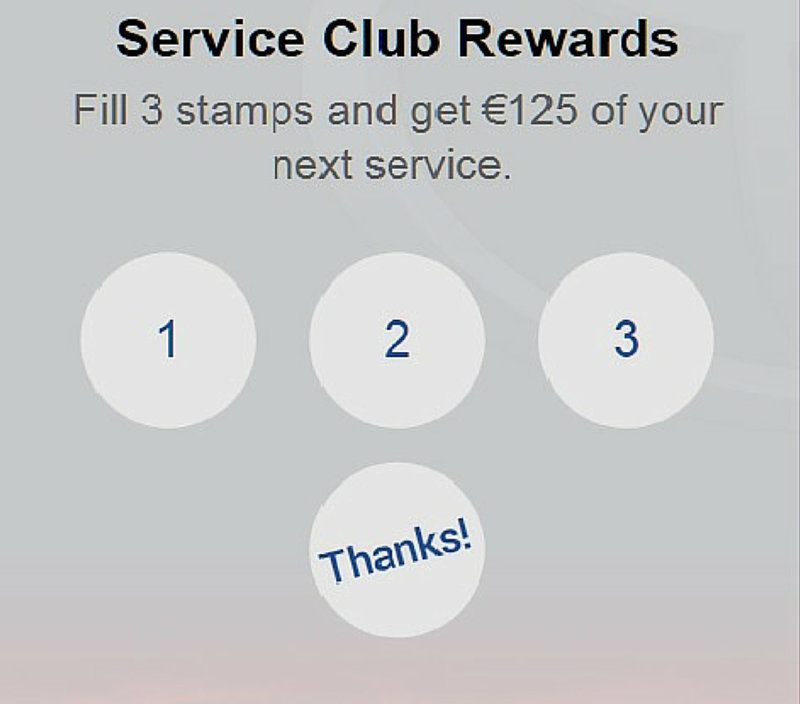 When you have three stamps, you'll receive €125 off your 4th service. 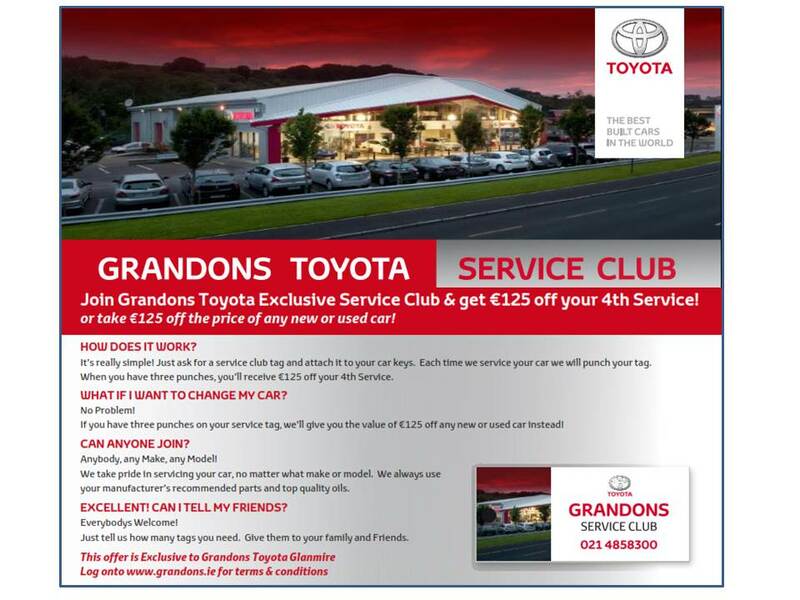 If you have three punches on your service card, we'll give you the value of €125 off any new or used car instead!